Pawsability Pet Behaviour and Training. Inverness, Golspie, Dornoch, Dingwall etc - all of the North Highlands. We provide help for dogs, cats and puppies, in class workshops or with a private sessions either at your home, or at our premises, or at one of our organised veterinary surgery locations. The On-line Pet Shop and Advice Centre provides lots of help and free advice with the most common behavioural and training problems, and provides helpful information regarding puppies. Anna applies a truly holistic approach to canine behaviour problems. Having a passion for unravelling the issues regarding dog behaviour and nutrition, she has written a book on the topic - The Good Dog Diet. The book covers all the basics of dog nutrition, food and behaviour, and is geared to providing easy to follow information and to help you to be happy with your dog feeding decisions. Puppy Socialisation and Training Courses - Small class size with two instructors per class. One to one training sessions. A companion Animal Behaviour Counselling Service run by our qualified and registered Veterinary Nurse Clare Kerr. Dogs and cats are welcomed through a veterinary referral for all manner of problems. Consultations can be done within the surgery or at your home, with a full report provided to get you started. One to one training sessions are also available to help deal with issues such as jumping up, pulling on the lead or not coming back when called. We also offer puppy parties & puppy school to start your puppy on the right track! Come along to find out all you need to know in bringing up a happy sociable dog. Workshops and classes for dogs at all levels and Private behavioural consultations for dogs in East Kilbride, Thornliebank Glasgow and West Calder. 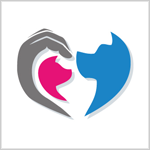 Highly experienced in rehabilitation of rescue dogs and dealing with aggression. Over 17 years experience of class teaching. Coached and mentored by Kay Laurence since 2009 and currently a staff member of Trainer Accredited by Kay Laurence accreditation scheme. Mentoring for new trainers working within the local area. Traditional, old fashioned, Gun Dog Training. Specialising in Hunt,Point,Retrieve breeds. But experienced in all gun dog breeds. Please Note - I am neither a mechanic nor an electrician... so no prong or e-collars please. 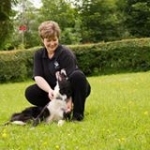 Based in Inverurie, I am an experienced companion animal trainer and qualified behaviourist and offer behavioural help and advice in Aberdeen and Aberdeenshire as well as training on a 1:1 basis, suited to the clients needs. 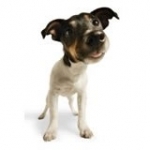 Behavioural help is offered in the owners own environment on veterinary referral. Please contact me to discuss further steps. Training sessions range from fundamental life skills to more complex requirements as well as puppy home visits for your puppies best start in life. 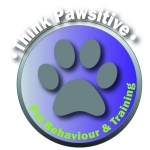 Think Pawsitive provides both behaviour consultations and training for pets. The staff, Janice and Morag, passed their COAPE Diplomas in Companion Animal Behaviour and Training in 2010 and have both completed stage four of the Diploma Honours. They are both members of the COAPE Association of Pet Behaviourists and Trainers and The Association of Pet Dog Trainers. private lessons for those who feel that a class situation is not for them. Behaviour consultations are available on referral from a vet. Individual and class training, puppy socialisation. Also available for lectures and talks on animal behaviour and training, and animal first aid. Private behaviour therapy counselling for dogs and cats. Referrals from veterinary practice. Specialising aggression cases, social gatherings may be suitable too. Training - classes and private 1-2-1, puppies and dogs,puppy socialisation, novice classes to advanced. Clicker training. Dogs of all ages catered for. Specialising in puppy behaviour and development and problem prevention as well as when it has already gone wrong, specifically with aggression either towards people or other dogs. Talks, workshops, ask if you have something specific. 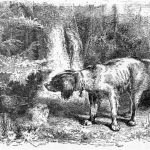 I have been fascinated with animals, especially dogs since I was a child. I graduated from the UTP University of Science and Technology in Poland after studying animal husbandry for 5 years and receiving a Masters, Engineers Degree in Animal Science (MSc., Eng.). My interest in dog training increased in 2012 when I was volunteering at Foundation of Therapeutic Assistance Cane Pro Humano. Apart from working with dogs, I had the chance to develop my interpersonal skills when I was running therapeutic classes. In 2015 I moved to Scotland and was given the opportunity to gain practical experience about companion animal behaviour and care in a local kennel & cattery. I have been looking after animals of different breeds and age for 3 years. Both my passion and my rescue dog’s behavioural problems led me to receive an advanced award in the Practical Aspects of Companion Animal Behaviour and Training (DipCABT) from COAPE in 2018. I am an assessed, full member of IMDT (Institute of Modern Dog Trainers) and Canine Training Professional at The PPGBI (Pet Professional Guild British Isles). I currently offer puppy classes, adolescent classes, group training for adult dogs, individual training sessions for dogs and behavioural consultations for companion animals through a vet referral. Thanks to my personal experience and new possibilities offered by science I am fully aware of the problems that desperate pet owners can encounter. In my behavioural work, I try to understand human needs and build trust in my client, which is crucial to achieving any progress both in training and in behavioural therapy. At the moment my service is available in Northern Scotland. 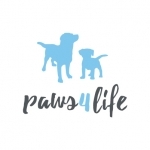 Paws 2 Learn is run exclusively by Nicola - a Certified Coape Companion Animal Behaviourist and Registered Veterinary Nurse with over 15 years of experience working with companion animals. 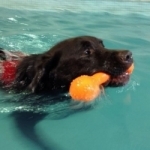 Paws 2 Learn offers individual behaviour support and dog training in Aberdeen and Aberdeenshire and has a range of services to meet your needs. Canine and Feline Behavioural Consultations. One to one puppy and adult dog training.